Adolescent girls and young women (AGYW) in Malawi, like in many African countries, experience much higher rates of HIV infection than their male counterparts. Those living in urban areas are three times more likely to be HIV-positive than their rural peers. Social isolation, economic disadvantage, discriminatory cultural norms, gender-based violence, school dropout, child marriage, and biological factors all contribute to AGYW’s vulnerability to HIV. As part of the DREAMS (Determined, Resilient, Empowered AIDS-free, Mentored, and Safe) partnership, Project SOAR is conducting implementation science research to build needed evidence about effective programming to reduce HIV risk among AGYW and their male partners. Using secondary data analyses and quantitative and qualitative methods, SOAR is: (1) examining approaches to identify the most at-risk girls, particularly those out of school, and enroll and retain them in DREAMS programming; (2) assessing HIV risk and health-seeking behaviors before and after AGYW’s engagement in DREAMS interventions; (3) exploring how to reach AGYW’s male sexual partners and increase their uptake of HIV services; and (4) assessing facilitators and barriers to HIV service uptake by men living with HIV. 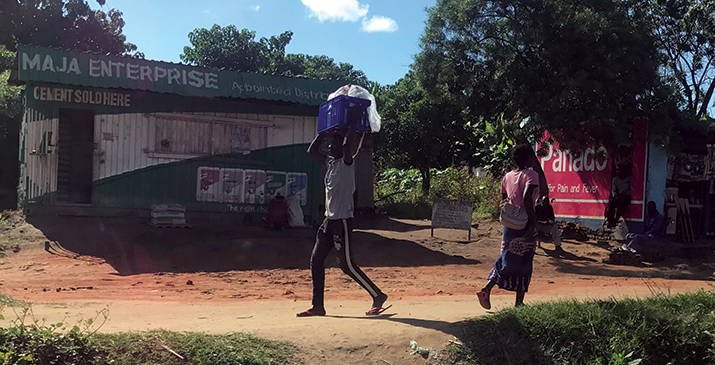 Learnings from this study will be valuable for the U. S. President’s Emergency Plan for AIDS Relief’s program implementation in Malawi and the region, as efforts around HIV prevention among AGYW expand. They also will be relevant globally, given the increased attention by the international AIDS community to fostering an AIDS-free generation.